B.C. is burning again and obviously not much has been learned from the fires last year when it comes to getting them under control. I hear people saying that this will probably be normal in the future and there is little we can do about it. Rubbish. I do not accept that and do not believe it. When it all started all of a sudden last year climate change may have had an impact, but can certainly not be held responsible for all fires. Naturally, we have to continue fighting the fires, but there should be an equal focus on fire prevention. We cannot prevent thunderstorms, but we can adapt and minimize the available fuel and remove dead wood for instance. Our fire fighters deserve all the praise and certainly have to be commended for what they are doing. Sad however, that the resources are so limited which allows small initial fires to get out of control. Our government does not seem to understand the impact these fires have on our society. I am not just referring to the potential loss of life and assets, but also to the huge impact it has on our economy: our tourism industry will take a dive, our forestry industry has to deal with huge losses, the damage to our health and well-being is devastating. The overall costs are high and have to be carried by the tax payer. All that is impacting our economy which inevitably will lead to job losses. The current horrendous fire in California has been started by an arsonist. The bad fire in Greece has been started by an arsonist. According to an analysis of fire causes, close to 40 per cent of all B.C. fires last year started due to “human causes,” arson included. Yes, arson. It can be assumed that the “close to 40 per cent” for human causes can be applied this year as well because many fires started without a thunder storm near, days later. As a matter of fact, completely new fires are still showing up lately without a thunderstorm. It often is reported that there is a fire but “only a few acres in size.” Such a fire gets out of control fast and the circumference increases to a length that requires many individuals, plus equipment, to fight it. Two hundred military personnel can most likely not change much. It is too little too late, and should have been 2,000 or more and the fitting equipment along with it. In closing, it is extremely frustrating that we in beautiful B.C. are obviously unable to get a handle on it. There will be at least two new faces on Prince George city council after Oct. 20, with Tuesday’s announcement that Albert Koehler will not be running a third term. Rookie councillor Jillian Merrick let it be known earlier this month that she would not be running again. To both Koehler and Merrick, thank you for your work on behalf of the residents of Prince George. The city is a better place because of your commitment to public service and you earned every dollar of your city councillor income. Koehler’s letter to mayor and council announcing his decision was a textbook in personal and political class. Instead of talking about the many hardships of public life, he stressed only the positives, starting with how honoured” and blessed he felt to have been chosen by local voters to make important decisions on their behalf. His reasons to not run again were simple and straightforward. Five young grandchildren. A bucket list that isn’t getting any shorter, the impending retirement of his wife and some health concerns. Even with those considerations, he said the decision still wasn’t easy. He loved the work because it was more than just a job, he loved the people, he loved making a difference. Koehler did things his own way during his seven years on city council. He paid for his election campaigns exclusively out of his own pocket. He spoke firmly but carefully at the council table. He let his warmth and sense of humour shine. And his pocket of Werther’s candies (a reflection of his German background) seemed bottomless. How Koehler saw his role on city council was reflected in his remarks made during Monday night’s debate on increasing the pay for the mayor and councillors elected this October. Coun. Terri McConnachie, hardly an obvious political ally of Koehler’s, echoed the sentiment. Not everyone feels the same, both on council and in the public. Some feel paying a part-time wage for putting in the full-time hours councillors are expected to contribute is a barrier to broader representation. Coun. Murry Krause made that argument, supported by Merrick. But Koehler framed it best with his question – why are we here? If someone wants a seat at the city council table strictly to be gainfully employed and cash a cheque every two weeks, they need to find a different job. Political service should be taken up out of a sense of duty, of giving back to the community. That’s why Koehler was there and that’s the desire that motivates most people who let their name stand for public office. And when they do get elected, they feel – to use Koehler’s words – honoured and blessed by the trust placed in them by fellow residents to do essential work. That’s not a job, that’s a calling. And that’s not romanticizing political responsibilities, that’s properly placing the emphasis on constituents over putting in time and getting paid. After all, if they wanted to really get paid, they’d apply to work in the bureaucracy where the real bucks are, not in the public eye. Albert Koehler will not be seeking a third term on council. “I have come to the conclusion/decision not to let my name stand for re-election in October,” he said in a letter to mayor and council, and released to the media Tuesday. Koehler was first elected in 2011 and crusaded against perennial tax hikes imposed by city council. He funded his own campaigns in both 2011 and 2014, choosing not to fundraise as most other candidates do. He said the decision not to run was a difficult one as he very much enjoys the position. “I feel very honoured to have been elected twice by a good number of our residents,” he wrote. “I feel blessed to have been part of important decisions that we made over the years leading to huge betterments in our city. Many results of these decisions will, as you know, show up later and will have a tremendous impact on a positive change of Prince George. With seven years on council and eight years as the Honourary Consul of Germany for all of northern B.C. he has served 15 years in public service while chairing an industrial operation until just a few years ago. He also gave a nod to the administrative staff and thanked them for all the assistance. Koehler’s decision to not seek re-election means there will be at least two new faces on city council after the October 20 election. Jillian Merrick announced last week that she will not be seeking re-election. Kyle Sampson has announced that will be running for city council. You can now add Albert Koehler’s name to the list of city councillors not running for re-election in Prince George. He joins Jillian Merrick on the list on who’s vacating their spot on the council as we inch closer to the October 20th Civic Election. The 71-year old says he wants to take a step back following a personal situation earlier this year. Koehler has five grandchildren and would like to make room for others. 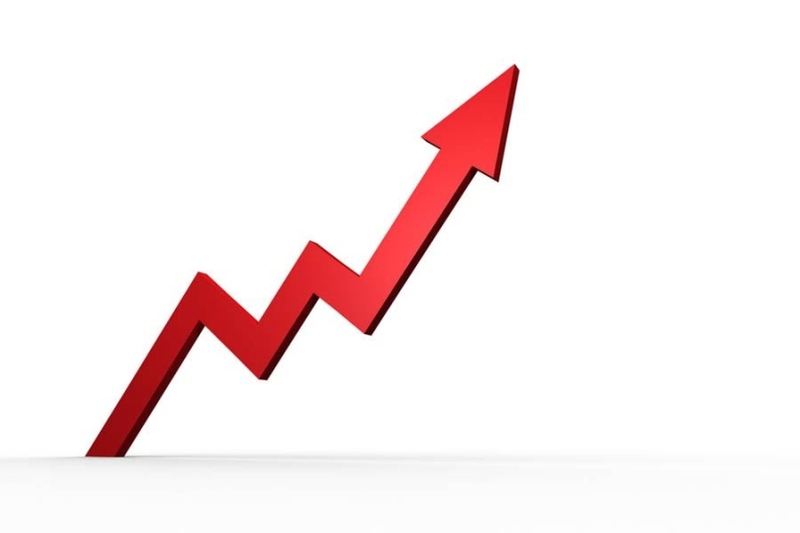 The local politician has been active on several fronts over the past eight years but refuses to look at his accomplishments in an “I” or “Me” sense and instead implemented a more team-first approach with his fellow council members using terms such as “We”, “Us” and “Ours”. Coun. Albert Koehler announced he won’t be seeking reelection in October in an email to local media on Tuesday. Koehler is in his seventh year on city council. “My decision has been difficult because I very much enjoy the work on council and feel very honored to have been elected twice by a good number of our residents,” he wrote in the email. Koehler thanked the public and his council colleagues for their support and cooperation. He said he plans to spend more time with his family and his wife, who plans on retiring soon. Prince George, B.C. – Another major sporting event is coming to Prince George. Prince George-Mackenzie MLA Mike Morris confirmed today in front of an enthusiastic crowd at Kin 1 the city will host the 2022 BC Summer Games (July 21-24). Morris said the decision to grant the Games was made by the Ministry of Community, Sport and Cultural Development and was based on several factors the city scored well in. Acting Mayor Albert Koehler said he welcomed the news another major event is coming to town. The BC Games Society estimates over 3,700 athletes, coaches, managers and officials will participate in approximately 18 sports. It also estimates the economic impact of the BC Summer Games is $2 million. The provincial government contributes over $2 million annually to the BC Games Society to support the BC Summer and BC Winter Games. 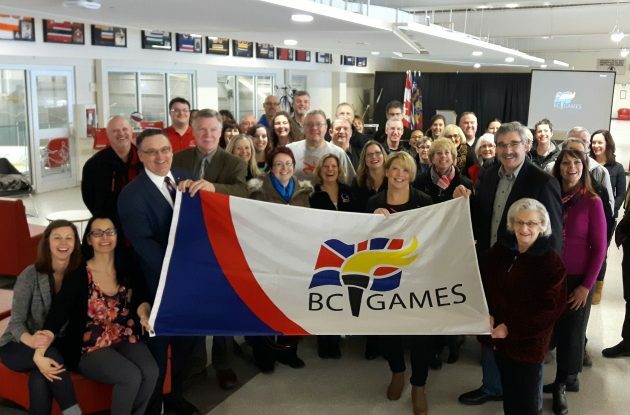 The City of Prince George has committed $45,000 cash and another $50,000 in-kind to host the event while the BC Games Society will contribute over half-a-million dollars. The last major sporting event the city hosted was the 2015 Canada Winter Games. Prince George last hosted the BC Summer Games in 1990 and before that the BC Winter Games in 1981.